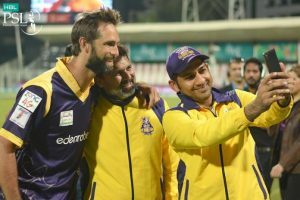 Four Findings that depict why Quetta's House of Dream to Play another PSL Final, Fell Down…! Four Findings that depict why Quetta’s House of Dream to Play another PSL Final, Fell Down! Franchise T20 cricket is all about picking right players according to the conditions and opposition in the relevant competition. Out of six, five teams were spot on in gathering the right individuals in PSL and they delivered the goods at the right time for their respective franchise. Undoubtedly, Islamabad United was best to compile the best squad and that is why they were the first to make it to the finals. 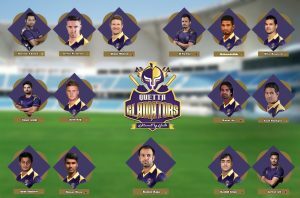 But, the biggest disappointment in terms of team selection was none other than two times finalists Quetta Gladiators. Apart from their below-par performance (with respect to the bar they set for them during previous two occasions); below are the four findings that truly reflect their on-field display and ultimate result. Since the inaugural edition, Quetta (with narrow-mindedness) preferred to pick those players who either belongs to Pakistan Cricket Club or Omar Associates (teams owned by Nadeem Omar). Obviously, Mohammad Nawaz and Rahat Ali are two big exceptions in the team. Sarfaraz & Co. had the opportunity to pick those players who are suited to T20 format but instead of this, they turned to their known faces and paid the huge price. Nepotism was more obvious when team Quetta picked Moin Khan’s son Mohammad Azam Khan, who barely had any chance to play domestic cricket in Pakistan. Although he was in the supplementary category, yet he surely did not deserve to be selected. So, nepotism through blood relationship and through self-imposed limitation, let the team eliminated from play-offs. What on the earth, Asad Shafiq, Ramiz Raja Jnr. and Mir Hamza were doing? I mean, which special quality compelled Sarfaraz and Moin Khan (responsible for shaping the squad) to pick these “special” players. During previous seasons, Umar Amin remained on the bench and in this season he got opportunities but in bits and pieces. Lack of specialist T20 players really let Quetta down. Teams with best local talents got the higher probability to perform well and this was the exact opposite for men in purple this time around. 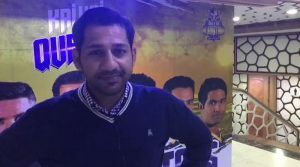 Quetta could have easily picked Mukhtar Ahmed and Awais Zia as they have the reputation of bashers at top of the order. Similarly, Israr Ullah and Adil Amin from Peshawar region and Shahid Yousuf (senior pro from Sialkot) could be effective for them in the middle order. Therefore, it seemed they simply ignored the mantra “Right man for the right job”. No doubt KP was their backbone in all three seasons with the great addition of Rilee Rossouw. Moreover, Sangakkara, Grant Elliott, Luke Wright, Mahmudullah and Tymal Mills in last two years, were significant components of Gladiators. But this year they had the best overseas picks in the likes of Watson, Jofra Archer and Jason Roy. Although, Roy and Archer were available for few games though but they got the services of the most competitive bunch of foreign stars. While KP remained off colour in most of the games and Watson was their main weapon who performed brilliantly more often than not. Overall Quetta was too reliant on foreign stars which somehow ditched them and they barely managed to finish in top four. In comparison to other teams, the imbalance in the quality of local and foreign players hurt Quetta really badly and exposed their lopsidedness. Quetta Gladiators were heavily dependant on their skipper with the bat. Sarfaraz has the vast experience of playing in the UAE conditions and he is master in playing spinners. This time, he repeatedly made mistake by keeping himself down the order. Very often Quetta struggled in the top order, but even then Sarfaraz continued to bat at number five or below. As mentioned earlier, local talent of gladiators was not efficient to bat till 15 overs and on most occasions, Sarfaraz found himself in pressure situation (which he could have been easily avoided) down the order and was just able to perform well in one game against Peshawar where he got the man of the match award. So, as an opener or at one down position, Champions Trophy winning captain could have brought exceptional results. So, nothing to credit in terms of Rahat Ali as a wicket-taking option, Mohammad Nawaz as the most economical bowler of the tournament and fresh breath of air in shape of Hassan Khan; Quetta put an excellent effort to challenge oppositions. With just one run defeat against Zalmi in play-offs which took them out of competition, Quetta still has very much to digest. They have to look outside of Pakistan Cricket Club and Omar Associates to arrange the best mix of players. They have got a big lesson to pick only those overseas stars who are willing to travel to Pakistan. Last but not least, they should keep one extra wicket keeper on their side for not only back-up of Sarfaraz but to groom a wicket keeper for future.